This 13.3-inch, Intel Skylake-powered Windows 10 convertible has been spotted on a French retail website, but still has to be officially unveiled. 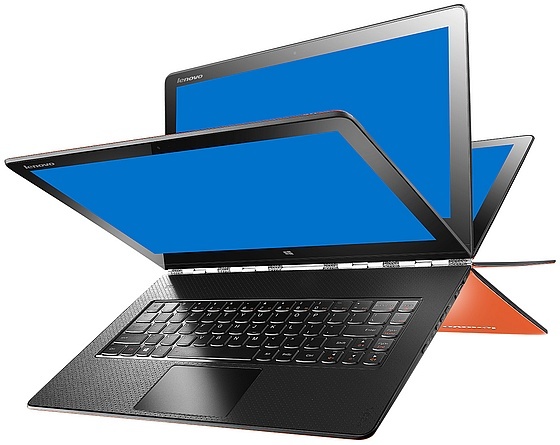 Lenovo will probably show its updated Yoga family of Windows convertibles at IFA 2015, and the first one has been spotted by Notebook Italia on a French retail website. Its name is Lenovo Yoga 900 and is expected to replace the Yoga 3 Pro. Two Lenovo Yoga 900 models have been listed by Fnac, both featuring Intel Skylake processors that have not been announced yet. The cheaper one uses a Core i5-6200U while the more powerful model has an Intel Core i7-6500U under the hood. Both are expected to have a 13.3-inch touchscreen display with 3,200X1,800 pixels. The remaining specs include up to 8 GB of memory and 512 GB of SSD storage, as well as a 66 Whr power pack. The upcoming Lenovo Yoga 900 weighs 2.8 pounds, has a backlit keyboard, as well as three different USB ports - USB 2.0, USB 3.0, and even USB 3.1. It will come with Windows 10 and should show up at IFA 2015. We will get back to it as soon as Lenovo announces it, so stay tuned.